Seasonal menu changes are always a popular move, and give diners the chance to try something new or rediscover a forgotten favorite. Thanksgiving also offers an opportunity to showcase innovative ideas and seasonal ingredients. For seasonal menu changes, it is important to remember that brand consistency should be a major consideration. It’s also especially important to offer just the right amount of seasonal menu options – neither too many or too little – and to organize the menu to highlight the seasonal items. When re-engineering any menu, take the time to understand what will work as a promotional angle each season. Quick-service restaurants and casual dining concepts benefit significantly from prominent holidays such as Thanksgiving, as they provide a chance to look at individual product categories: think hot drinks, warming main dishes and comforting desserts. Not only are these items at the top of customers’ lists when it comes to dining out of home in colder weather, they are also some of the industry’s best performers in terms of profit margin. While it’s imperative that operators react to seasonal changes and reflect the holiday mood in their offers, consistency is also a key driver in customer loyalty. Sometimes, diners just want what they came in for, and loyalty will thrive when operators achieve that balance. A consistent customer experience is also important in food quality, taste, and brand identity, so maintaining a uniform menu design is important. Menu refreshes and certain changes to design elements are useful, though, keeping the brand fresh and relevant. Knowing this, too many changes in too short a period can confuse customers, leading them to question the stability of the brand and sometimes causing a drop in transactions. With this in mind, before making changes to menu content and design, operators should consider testing new menu layouts with a small group for a set period of time to fully understand the financial implications. Menu changes can also be used to increase profits on one-off occasions such as Thanksgiving. The key to unlocking the potential at these times is understanding the underlying consumer need that has been triggered by the event. For example, with Thanksgiving, it’s likely that operators will see larger groups gathering together. In these circumstances, menus can be optimized for profit by offering special sharing dishes that upsell or promote add-ons. Operators can also offer in advance to take pre-orders for customers, eliminating the need for orders to be placed while the party is in full swing. With this approach, the customer doesn’t have to worry about waiting, while operators can prep the kitchen teams, knowing what the bulk of their work will be. How Much Seasonal Fare Is Too Much? Casual dining operators should incorporate seasonal elements into parts of their menu, but keep their classic products that often make the brand unique as part of the core offer. Some chains create iconic seasonal products that are only available during a limited time, and these can really drive traffic because of consumers’ fear of missing out. Another option is to offer exclusive menu items for a limited time that are proprietary and synonymous with your brand, such as Starbucks’ Pumpkin Latte or Cheesecake Factory’s pumpkin cheesecake. The only time operators should be cautious about considering seasonal changes is if they don’t feel confident that the plans can be fully executed operationally, and could slow down the speed of service. Chains with a limited concept, such as Tex-Mex, should also be wary of trying to incorporate seasonal items which could pile on complexity for the operations team and the supply chain. Adding complications usually increases costs, and any uplift in profitability made by the new dishes would be lost. The most profitable items should appear at the top and bottom of each menu section to attract the most attention. Chain concepts must keep the main section of their menu dedicated to their core offer so loyal customers can easily find their favorites. Operators should then reserve a specific section of the menu – a box to the side, for example – to showcase seasonal offers. Designing a menu in this manner keeps regular customers happy and also entices them to look at the new dishes. Showcasing your menu this way will also help maintain speedy ordering during peak times. Remember to keep it simple. Interesting descriptions should be given to seasonal offers, but avoid using jargon that some customers won’t understand. Develop a hand-held menu as an insert to attract attention and avoid the added cost of printing new menus. If you have a menu board, add the seasonal items to the menu board "Hot Spots." All menu boards have them, but boards vary depending on how customers line up to order and where the registers are located. Consider zone merchandising with messaging in key customer zones around the restaurant. Different zones include the “entry zone” where customers enter the restaurant, the “line-up zone” where customers queue and wait to place their order, and the “order zone” where customers place their order at the counter or at the table. Effective zone merchandising "stages" the menu/item messaging in these key customer zones, which in turn can persuade customers to purchase preferred menu items. The holidays are a perfect time to maximize menu profitability while showcasing the concept and keeping the brand relevant. Done well, menu enhancements will help customers enjoy the season and will make the restaurant their destination of choice for the holidays. 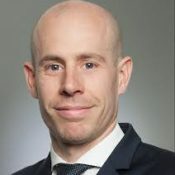 Philipp Laqué is Managing Director at Revenue Management Solutions, in charge of the company’s work for clients in the United Kingdom, Ireland, Netherlands, Germany and the Scandinavian countries. He holds a Masters in Hospitality Management from Cornell University and a Bachelor of Science with Honors in International Hospitality Management from Ecole hôtelière de Lausanne, in Switzerland. 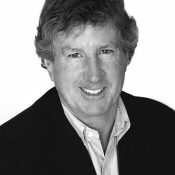 Tom Cook is a principal of King-Casey (www.king-casey.com), a premier consulting and branding firm serving the restaurant industry.